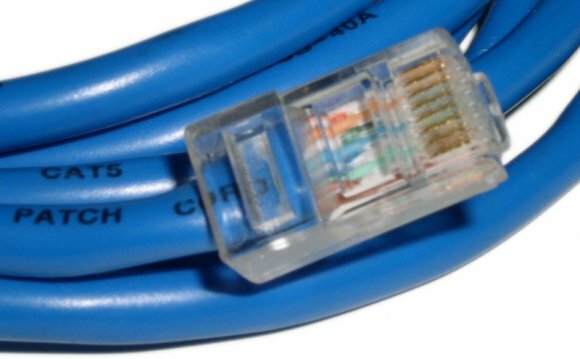 What is Ethernet Patch Cables? Ethernet is a multi-purpose communication protocol that has become the data standard for the industrial market. AutomationDirect offers several PLCs, HMIs and drives that support the Ethernet protocols for data distribution, software programming and configuration. These Ethernet cables are ideal for the AutomationDirect products and other devices that support Ethernet communications. The noise interference radiated from electrical components that is often associated with factory floor environments can result in partial or complete data loss. This may result in delays or complete communication loss in extremely noisy environments. Our Ethernet patch cables are designed to reduce the effects of (EMI) electromagnetic interference. A single metal foil shield wraps around the entire set of 8 wires (4 twisted pairs) in the Cat5e cable. The RJ45 connectors are also shielded against electrical interference and designed to be robust. Our 350 MHz cables exceed all Cat5e TIA/EIA standards, and drastically reduce both impedance and structural return loss (SRL) when compared to standard 100 MHz cables. With a variety of colors and lengths to choose from at great prices, these patch cables help you build solid, reliable Ethernet networks with any application. CM rated, suitable for general use other than plenum spaces.